Hey, man I’m not Charlie! JUDGMENT NIGHT —–definite Guy Movie is a kind of 1993 variation on The Warriors, or for that matter,”The Most Dangerous Game”. It’s better than it has a right to be, considering the mindless pulp at its center, and unlikeable manner of all but one of its characters. Four macho buddies on a boys night out in Chicago run afoul of a group of murderers who pursue them relentlessly through tenements, over rooftops, down storm drains—everywhere but Wrigley Field. Some tense dialogue, decent direction (Stephen Hopkins) and a dramatic Alan Silvestri score keep you watching. Leading man Emilio Estevez is the decent one. Costing $21,000,000 it faltered into 95th place for the year, making only $12,137,000. 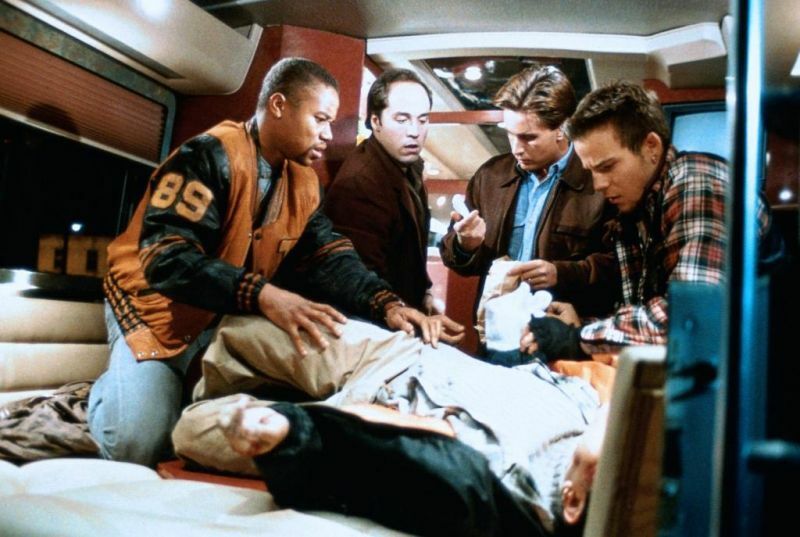 109 minutes with Cuba Gooding Jr., Denis Leary, Stephen Dorff, Jeremy Piven.